Photo booths are a huge trend at weddings and social events recently. Brides and Grooms want to be able to take home some immortalized memories from their huge day – and these photobooth options give them an opportunity for more candid memories (for themselves as well as their guests) than ever before! 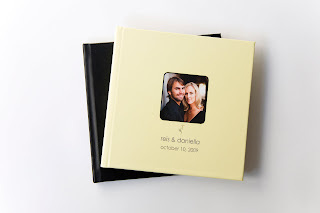 Luckily, many companies that supply photobooths for events have quickly discovered that one of the most compelling reasons to have a photobooth around for your wedding or event is that you get to take home the (often blackmail fodder) printed proof afterward! The books provided are often a gorgeous combination of friends’ sentiments and well-wishes, combined with the fun and nutty nature of those people that always seem to be invited to the party…(yes folks, that person is usually me…) and who doesn’t love to have a reminder of what kept you laughing all night? Many of these companies have created duplicate imaging for each photo-op that comes along, one copy for the subjects of the fabulous photo fiasco, and one for the host! 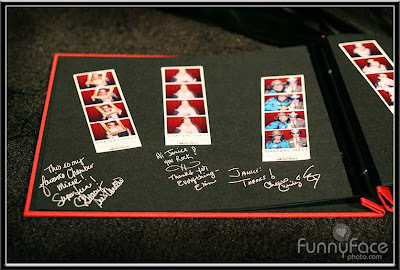 Then they’re able to combine the hosts’ photos into a travel-sized book, often complete with space to sign personal notes. One of the photobooth companies we use at Pierpont Place, FunnyFace Photobooth, has perfected the game by providing a plethora of props and funny costumes to spice up the booth. 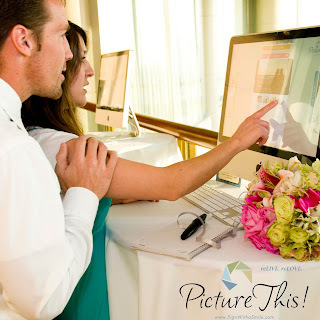 Weddings are a fabulous time to add an extra personal touch to your event, but Photobooth capabilities have proven popular for birthdays, corporate events, social get-togethers, and any other social events too! 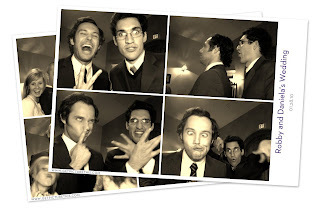 Breaking the ice with your boss and co-workers by being goofy in a photobooth, and having a record of this fun cohesion, is a low-pressure way to ensure a little laughter in the office later on. While at Pierpont Place we never have trouble laughing at ourselves, together, we still love to have proof of our easy-going attitudes and we love to show that we have fun at our events too! Companies like FunnyFace leave nothing that can go wrong. With packages that include staff to ensure the lighting and positioning of the camera is perfect, and to monitor the photos and create the memories-book for the host to take home, the only thing left for you to do is jump in the booth and take as many pictures as you can! It all sounds fabulously retro doesn’t it? Going back to the days before everything was digital cameras and instant viewing…I love it! Then again…we have the exactly opposite end of the spectrum…just recently I’ve been made aware of a brand new type of photobooth for any kind of event. PictureThis is a new company where some fabulous and young gentlemen (and anyone else involved) have created a tech-savvy DIY photobooth – combining the user-friendly nature of touch screens with the futuristic technology capacities of the Apple desktop computer to create an integrated touch screen photobooth/physical and online guestbook/event kiosk all combined with the opportunity for the event hosts or bride and groom to provide a live slideshow of their choice of photos. This means during a wedding reception a guest can peruse engagement photos that have been preloaded on the computer, hand write a note that is touch translated into the computer database while maintaining the integrity of the handwriting, take funny photos to print out and/or send to the bride and groom, and participate in creating a book of memories that will be given to the host after the event. Now if this all sounds science-fictioney to you…you probably need to catch up. Because this is the new wave of photobooth technology. And it’s looking GOOD. Thank you all for reading, and don’t hesitate to get in touch!